It has become a confusing market for customers to decipher which technologies offer the best welfare-friendly solutions for their animals. How do you separate fact from fiction when choosing new technologies? New incubator and hatchery technologies are being introduced to the marketplace at increasing speed, each competing with the next for customer attention. It has become a confusing market for customers – many of whom may have spent ten years or more with the previous brand of machine – to decipher which technologies represent the most meaning to them as they seek to upgrade. After all, the hatchery business is very simply about producing as many ‘A’ grade day-olds, be they chickens, turkeys, ducks or geese, from their fertile egg stock. How has it become so complex? 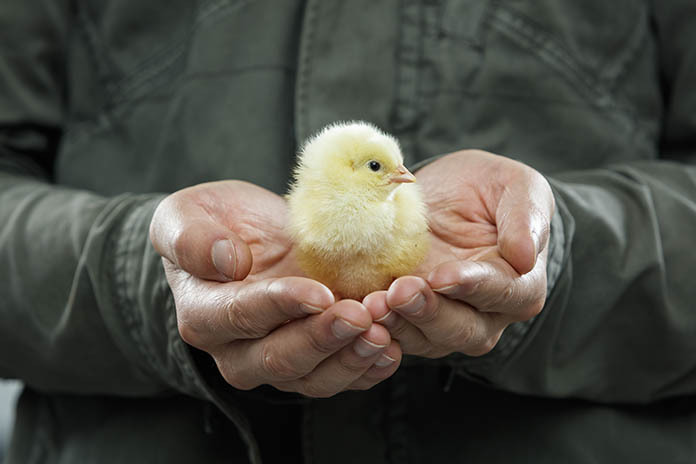 These days one of the key marketing tools to create a point of difference between incubator manufacturers is animal welfare. And animal welfare in the hatchery is indeed of utmost importance if healthy, viable day-olds are to be sold. So how then are we to understand which technologies truly support the welfare of our day-olds and by virtue of this clarity see through the technologies that are little more than just someone’s imagination creating an idea that is undoubtedly new and different but nothing more? How do we sift through the abundance of technologies on offer to find the one that is in fact relevant to animal welfare? In my opinion it is being able to use nature as a reference that is key. Up until recently my wife and I owned and operated a Free Range Enterprise on the beautiful Central Tablelands of New South Wales, Australia. Upon our property we ran a mixed enterprise of beef cattle, free-range pigs and free-range poultry. Our business sold our various products to restaurants mostly in Sydney whose chefs/owners were interested in provenance. Our mission statement was to produce slow grown, flavoursome meat from animals that had been able to express their natural behaviours, be those grazing lush pasture, scratching in the dirt for grubs or simply dozing in the sunshine. I particularly recall the time when we were establishing our free range piggery when pig industry experts advised us that without the use of farrowing crates we would be unable to raise pigs. This, they explained, was because the mothers were prone to rolling onto and squashing their new-born young. Right from the start I was dubious of this advice. Farrowing crates were relatively new technology and therefore if the advice was accurate then the species would have ceased to exist long before. Not surprisingly the advice proved completely erroneous. The experience served to teach me the following lesson – that one must be prepared to use nature as a reference when deciphering fact from industry fiction. It is the incubator technologies that adhere strictly to following the guidelines of nature that will afford the hatchery the greatest advantage in producing ‘A’ grade day-olds. Parallels to the farrowing crate example that I have related can also be seen in new technologies specific to hatchers. The hatcher is a critical control point in the hatchery as it is our final opportunity to produce ‘A’ grade day-olds. But the hatcher is completely dependent upon the quality of eggs bequeathed upon it by the incubator, which was in turn completely at the mercy of what it received from the breeder farm. 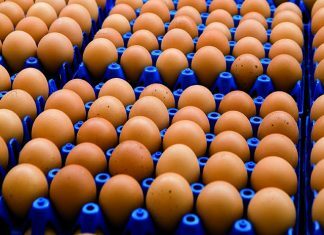 So many factors affect the hatcher being able to execute its function; from egg age, egg size, flock health to correct incubator management and the management of the eggs through transfer and hatcher loading. These are the critical areas to manage and control so that we can afford the hatcher the best opportunity to produce ‘A’ grade day-olds. Afforded the best possible eggs and utilizing the best technologies the hatcher can imitate the nest environment and hatch the day-olds within a short time line measured from the appearance of the first hatchling to the last. If this is achieved then the hatchery manager can best judge the perfect moment for processing and dispatching the day-olds such that they stand the greatest opportunity to survive and thrive. To immediately feed or not to immediately feed day-old chicks? Some new technologies involve supplying feed and water to the hatching birds. 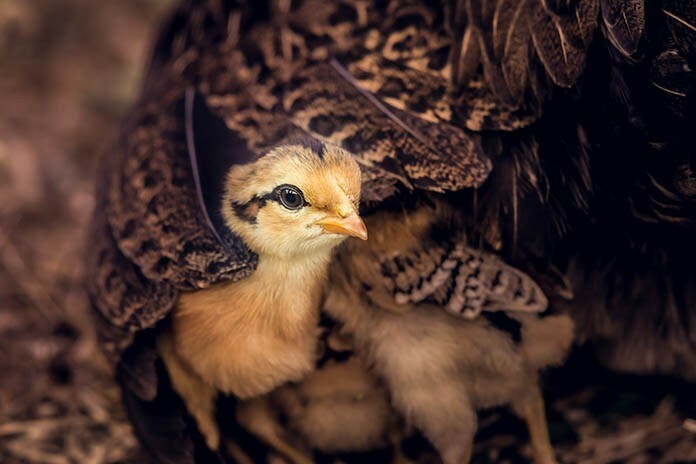 These technologies seek to convince us that the day old suffers if not fed – and this is indeed a very emotive argument if one has no experience of the manner in which the mother hen hatches her brood in nature. In nature the hatching process can take up to 48 hours to complete from the first hatchling fully extracting itself from the shell to the last. During this time the hen remains sitting tightly on her nest, rigid in her determination to have all of her hatchlings fully prepared before she leads them away in search of food. And even then it is not food of nutritional value that she encourages them to eat but merely low quality matter aimed at activating and preparing the gut for dealing with the nutritious food that they will eventually consume days later. The mother hen can do this because all day-olds are equipped with the most perfect of food substances; egg yolk. In the days immediately prior to hatching, the embryo absorbs the yolk sack into its body. This yolk sack is not only sufficient to sustain it for many days but absolutely essential in supporting the immune system. If the hatchling were to eat food of nutritional value prior to it making full use of its yolk sack it would indeed excrete the yolk sack and be deprived of its full benefit. Therefore my advice would be to avoid the technologies that seek to convince us that a day-old must have access to food and water immediately upon hatching as this defies the lessons set out by nature. Instead look to those technologies that reference the habits of the mother hen attending to her nest. And what are these? The mother hen sits tightly upon her eggs, indeed smothering them beneath her feathers. She concentrates her body heat to the shells and restricts the embryo’s access to gas exchange. In so doing, she stimulates the embryo’s natural stress hormone, cortisol. Fuelled on this adrenalin, the embryo is inspired to begin the hatching process. The mother hen can then exercise control over the entire time it takes for her brood to emerge. And she knows that she has up to 48 hours because she knows that her hatchlings can very safely subsist on their yolk sack. It is the technologies that emulate this hatching pattern that are the ones that will ultimately reward the hatchery manager with the best quality day-olds. Why? Because the process is natural. After all, animal welfare guidelines are there to prevent the needless suffering of the animals in our care. What better way to achieve this than to imitate nature.